Grapefruit is a slimming addition to the diet that is low in calories and can help to reduce obesity. Grapefruit increases circulation, stimulates the lymphatic system, has a cleansing effect on the kidneys, and may help to regulate body weight with regular use. Studies show that the phytochemicals called liminoids in pink and red grapefruit make them powerful LDL cholesterol busters. The grapefruit diet or "Mayo diet" predates the Internet. The main premise is to eat an Atkins like regimen with lots of meat and little or no starch and drink or eat grapefruit at every meal. Grapefruit contains high amounts of the antioxidant vitamin C which helps in weight loss. Aromatherapists also recommend grapefruit essential oil to help dampen appetite and reduce the appearance of cellulite in problem areas like belly and thighs. Grapefruit oil is used in massage blends as an astringent skin toner and to stimulate the lymphatic system. Grapefruit oil is used as an antiseptic and astringent oil to treat muscle fatigue, stiffness, acne, fluid retention, and to improve skin tone. It may even aid hair growth. 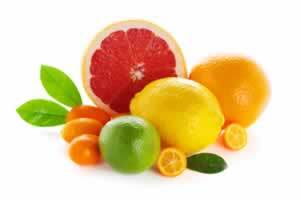 Grapefruit seed extracts are extracted from the grapefruit seeds, pulp and inner rind of the fruit. They can be helpful in fighting both bacterial and parasitic infections. Some people take grapefruit seed extracts as a preventative when they travel to places where the water is questionable. Grapefruit extract is user-friendly, versatile,easy to use, and environmentally safe, so safe in fact that you can use it to purify drinking water to kill disease causing pathogens when traveling, or in cases of emergency (ten drops per gallon of clear water). It is often added to homemade cosmetic and medicinal formulations to extend shelf-life. 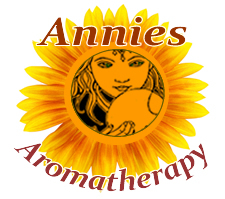 Preparation Methods & Dosage :Grapefruit essential oil is used in aromatherapy. 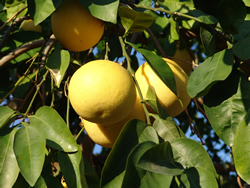 Grapefruit seed extract is used as a preservative and antibacterial agent. Dried grapefruit peel is added to herbal teas, and of course the fruit is a healthy source of vitamin C.
Cold-pressed from the peel of the common grapefruit. It has a fresh, sweet, bitter, citrus aroma. Cooling to the body and uplifting to the mood.It is used to scent citrus perfumes and colognes, soaps, creams and lotions. Especially appreciated by children. Grapefruit Side Effects: Because grapefruit can interfere with the breakdown of certain medications, including statins and calcium channel blockers, don't eat a lot of grapefruit or drink the juice as a snack if you're on these medications. Distribution: Subtropical, major producers in the US are FLA, TX, AZ and CA.